How do you fix a broken reflector on an antenna? Recently I was visiting with a friend and he showed me a brand new antenna with a broken reflector. It didn’t look as bad as the picture above, but I had to wince as he tried to bend one of the reflector elements back into place. It… kinda worked. If a single metal rod on your antenna breaks or bends, it’s probably not too big a deal, honestly. The antenna will always work better if it’s completely intact but in most cases the antenna will still work as designed if one bit of it gets bent. Should you even try to fix it? The only reason to try to fix a broken element or reflector is to make it look a little better. A bent bit of metal is going to look unsightly and sloppy. There is a very, very small chance that you’re going to bend it back so perfectly that it will work as well as it did before. It’s really a better option to just replace the antenna. If you’re saying to yourself, “It’s just one bit” I get you. If you paid a lot for the antenna and don’t want to toss it, I feel your pain. As I said one bit of damage isn’t going to totally ruin it. So why get rid of a perfectly good antenna? Only you can make the decision. A bent element will bend more eventually. Once you bend a piece of aluminum you’ve permanently weakened it, unless you have a fancy forming machine at your disposal. That means sooner or later that antenna’s going to fail. So, you have to make a call and I’d recommend asking yourself if you’re really happy with the antenna. Were you ever happy? Is it too big, too small, too weak? Is it the same one that was found on the house 50 years ago? Maybe it’s time to upgrade and this is just the push you need to do it. 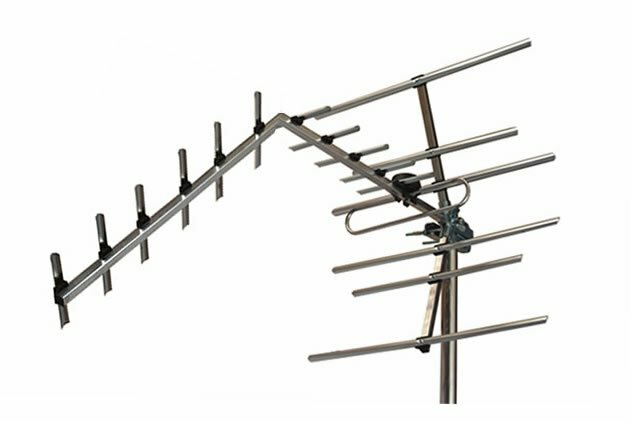 And, if you’ve decided that it’s time to upgrade, the best place to look is SolidSignal.com, where you’ll find hundreds of antennas from all the major manufacturers, as well as free support and all the accessories you need. What are you waiting for?